Posted on March 25, 2019 at 11:26 am. Posted on November 20, 2018 at 9:17 am. NAP is your firm’s name, address, and phone number. In terms of Search Engine Optimization, it is very important that your business’s presence be consistent across the internet. This means that your firm should be listed with the exact same information (NAP) on all directories, social platforms, etc. What do you mean exactly the same? If your Google My Business listing says “Suite 203”, your directory listings should not say “#203”. If you use PLLC in your business name on Apple Maps, use PLLC on your Facebook page. 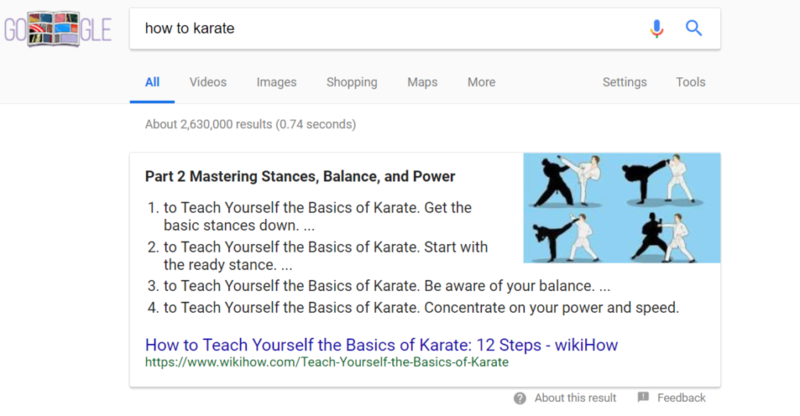 These small differences in listing details aren’t going to pull your firm’s web presence down into the Google dumps, but correcting these errors will improve your web authority over time. This large inconsistency is something we see often when helping law firms clean up their web presence. Maybe your firm went through a recent name change, maybe you’ve changed office locations, or maybe an individual incorrectly submitted your business information. Whatever the reason, it is a fundamental necessity that your firm corrects major listing inaccuracies. Dependable firm information will help search engines understand who you are, what you do, and how users can find and reach your business. This will help establish search engine trust in your business. Varying information across the web will discourage search engines from sending users to your firm. Correcting listing inconsistency can be an uphill battle, but there are tools that Mockingbird uses to make the cleanup a bit easier. Tools like Yext and Moz. These tools find business listings that don’t match your business information and help to suppress those listings. They also push out your correct NAP to the most authoritative and relevant information sources, such as Foursquare, Bing, Apple Maps, Whitepages, and more. Moz and Yext help with fighting errors in listings, but often we will have to reach out directly to the listing website to get it removed or corrected. This can be a time consuming (but completely worthwhile) effort. Is Your Firm’s NAP Consistent? Use Mockingbird’s NAP Scanning Tool to find out how consistent your business’s listings are across the web, and please feel free to reach out for help addressing any issues that you find. Posted on June 5, 2018 at 10:09 am. 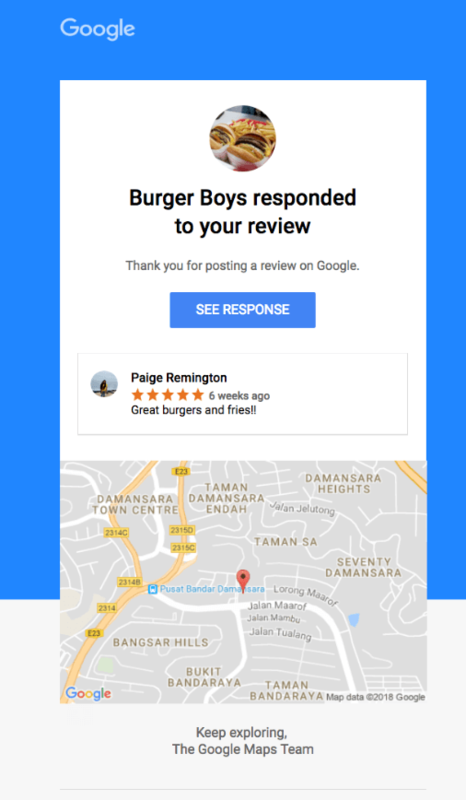 Google has announced that it will now notify users who post reviews on Google Local results after the listing/business owner responds to the review. When you, as a listing owner, respond to a user review, Google will wait five minutes, and then send the user an email notifying them that you have responded. Google graciously allows you five minutes after posting your response before it notifies the user so that you are able to make any necessary edits (edit grammar or cool down that hastily written response). This change should incentivize business owners to respond to reviews, whether they are positive or negative. 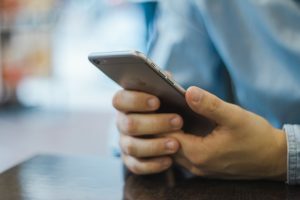 Regardless of notifications, responding to reviews shows that a business cares and can help build relationships with clients. In the past, responses from businesses would often go unnoticed by users, but this update is bound to change that. So be aware when you’re responding to negative reviews that the user will almost surely see your response. Posted on April 27, 2018 at 10:00 am. Blogs present a wonderful opportunity to produce content that can help build your website’s presence on the internet. As an attorney, you have extremely valuable knowledge that users will be searching for. So, with a bit of digital marketing savvy, your blog can become a traffic driving asset. Having an article that is valuable to readers and optimizing for search engines go hand in hand. As I’ve stated in past articles, user experience is at the root of most Google algorithm ranking factors. Don’t write for the sake of writing; write with your readers in mind. What questions are you consistently getting from clients? Do you have a fresh legal take on a current event? Whatever you’re writing about, make sure it’s something that people would actually want to read. Structure will make your content digestible for both readers and search engines. 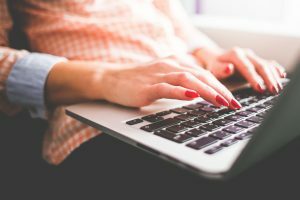 To achieve a well-structured blog post, you must utilize headings and lists. These elements help search engines understand what the content you’re producing is and for what queries it should be served. Headings help search engines understand what the main topics of your blog posts are. Heading tags have a top-down hierarchy from <h1> to <h6>. You should only have one H1 tag (main heading), which will be the title of your post. Do not use multiple H1 tags, as having multiple H1s will confuse search engines. Prioritize title and location if you run out of characters. Remember to break up the pieces of your title with dividers to maintain structure. Your meta description should describe what the content is and draw the reader in. Make sure to include relevant keywords (without keyword stuffing), as Google will highlight the matching words from the user search query in your description. This will draw the eye of the reader and signal that the page is relevant. and last but not least, keep at it! Posted on March 6, 2018 at 10:47 am. Why are site and page speed so important to Google? Speeding up websites is important — not just to site owners, but to all Internet users. Faster sites create happy users and we’ve seen in our internal studies that when a site responds slowly, visitors spend less time there. To further highlight the importance of speed, Google has recently released a Mobile Scorecard and an Impact Calculator. 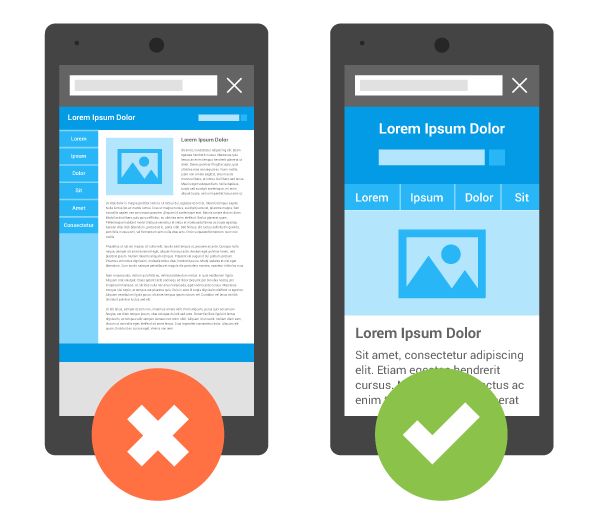 One of these tools compares how a site performs against the competition on mobile devices, and the other aims to communicate the impact mobile speed can have on profits. Both tools aim to drive home the importance of investing in speed. 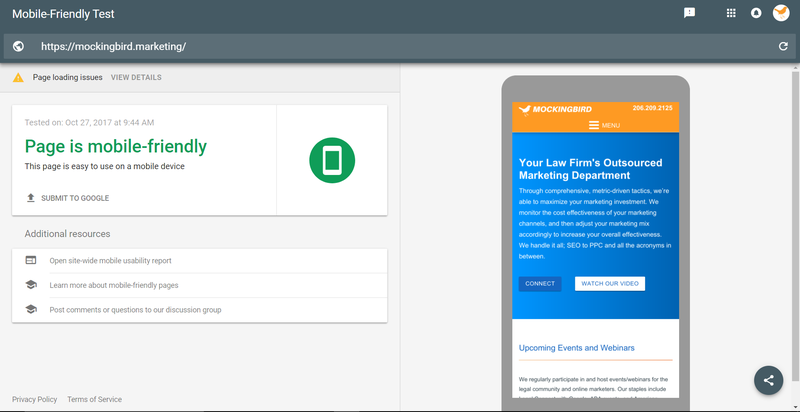 The mobile scorecard can be used to find out how your website stacks up to competitor sites in terms of speed. In general, if your site loads and becomes usable in five seconds or less on 3G connected devices, and in 3 seconds or less on 4G connected devices then your site is doing well in terms of speed. You can test your site on 3G and 4G connected devices by changing settings in the upper right-hand corner of the tool (see image below). The impact calculator quantifies the potential effect that speed has on conversion rates by calculating the revenue companies could potentially gain by improving site speed. Unfortunately, due to the complicated nature of payments in the legal industry, this tool will likely not be applicable to attorneys. But, it is important to be aware of the existence of the tool, as it shows Google’s commitment to driving home the importance of site speed. Both tools can be accessed here.